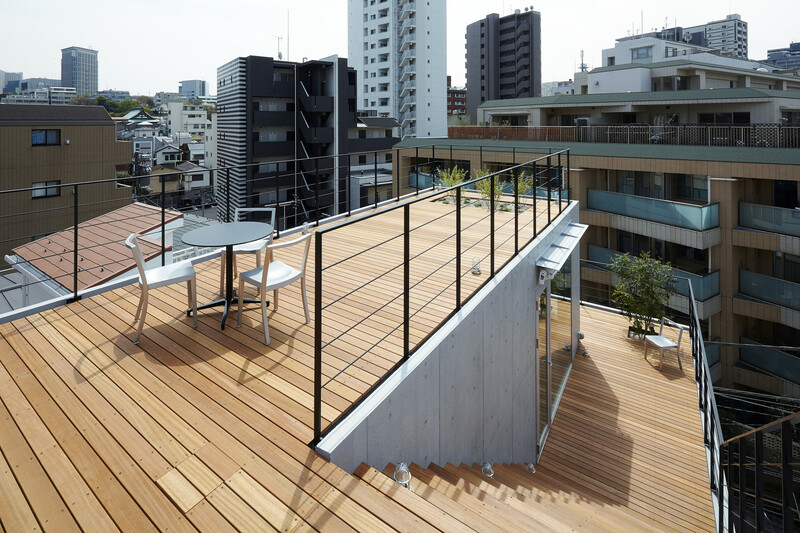 Would you sacrifice privacy to have your very own expansive outdoor spaces in the middle of a busy city? 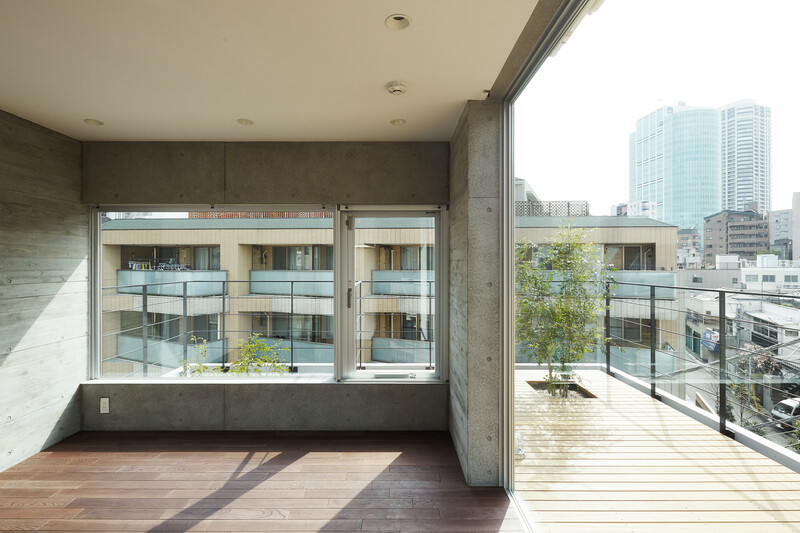 Compared to the more conventional, enclosed buildings around it, this urban concrete dwelling is open to the world, with much of its square footage devoted to open-air spaces where residents can soak up the sun and enjoy the fresh air. 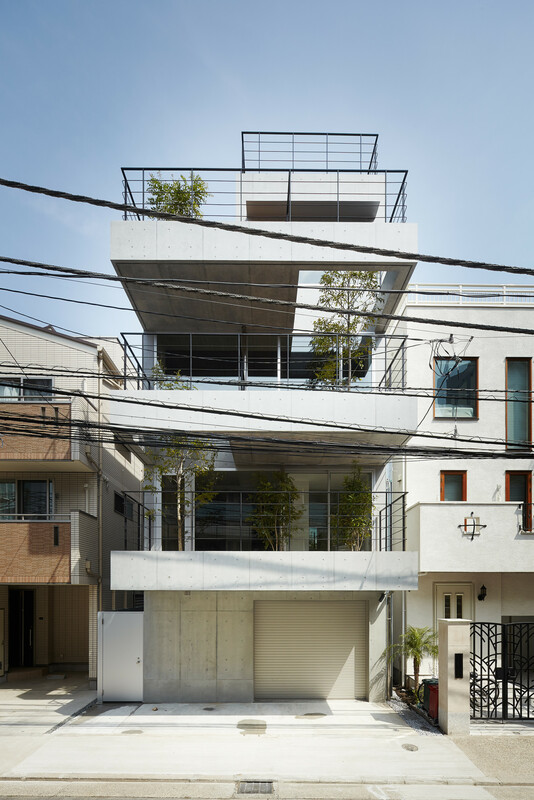 ‘Balcony House’ by Ryo Matsui Architects is located in the middle of bustling Tokyo, yet it has the kind of private outdoor space typically only seen in the suburbs. Three verandas jut out over the sidewalk, and the entire roof is a terrace affording nearly panoramic views of the city. 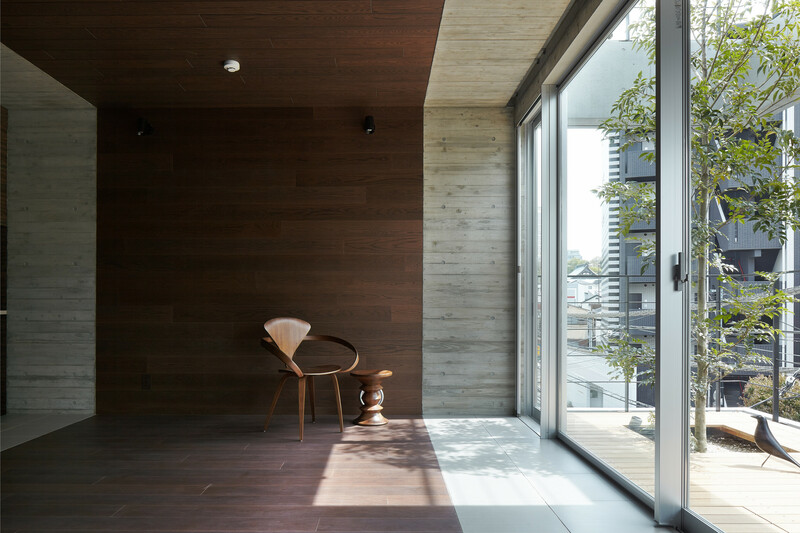 Wooden decking brings some warmth to the angular concrete structure, and thin black metal railings avoid blocking views and let in as much light as possible. 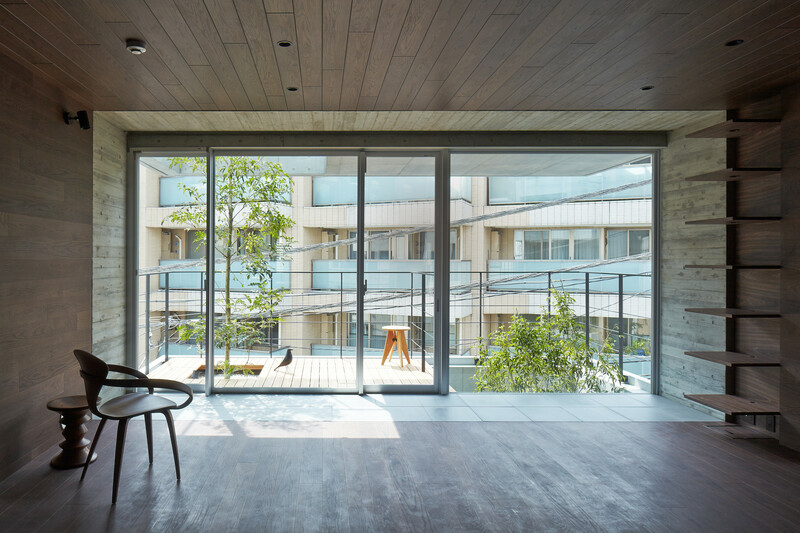 The terraces are planted with small trees, in a city where greenery can be hard to come by. 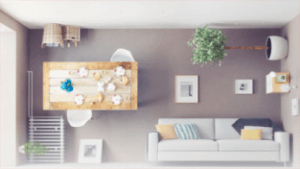 A two-car garage on the ground level leads up to the living spaces, which are lined in a variety of species and tones of wood for a dynamic feel. The master bedroom is on the fourth level, elevated above most of the surrounding buildings for optimal views.